Formed in Burbank, California, across 2007 and 2008, Touché Amoré’s urgent sound, with its melodic sonic assault and impassioned vocals, has grown tighter and more refined through a trio of full-length albums and a series of EP’s and releases. 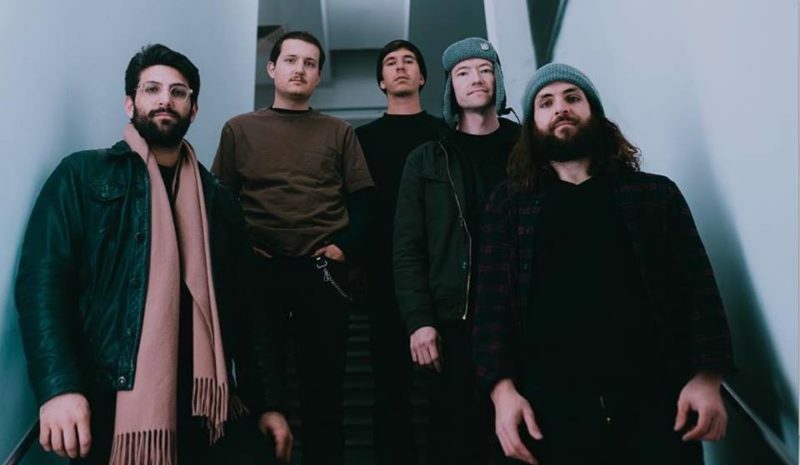 Since those early days, lead singer Jeremy Bolm, guitarists Nick Steinhardt and Clayton Stevens, bassist Tyler Kirby and drummer Elliot Babin have created a trajectory for themselves through hard work and dedication. And now with Stage Four, their fourth and biggest album to date, they’re cementing their status as one of rock music’s most talented, relatable, and visceral acts. Over the years the band rose to prominence with 2009’s …To The Beat Of A Dead Horse and 2011’s Parting The Sea Between Brightness And Me. Touché Amoré crossed into new territory with the 2013 art-punk masterpiece Is Survived By. Having earned early cred, critical favor, and legions of fans by playing lengthy tours of all shapes and sizes — in every basement, youth center, and house show — the band enjoyed a bigger following which only grew along with their talents. “I don’t open up to people too much in regular life, but when I’m writing songs, I want to be as open and as honest as possible,” Bolm confesses. Touché albums have always served as an emotional outlet for Bolm. So when the time came to write Stage Four, there was no question that it would be about the passing of Bolm’s mother in late 2014. Stage Four was recorded in early 2016 in Studio City, CA with producer Brad Wood. Cathartic in delivery, highly sentimental, and sonically triumphant, Stage Four is an emblem of a band both living its dream and marred by loss. And with Stage Four, Touché Amoré have unmistakably made the boldest, and most artistic statement of their career.